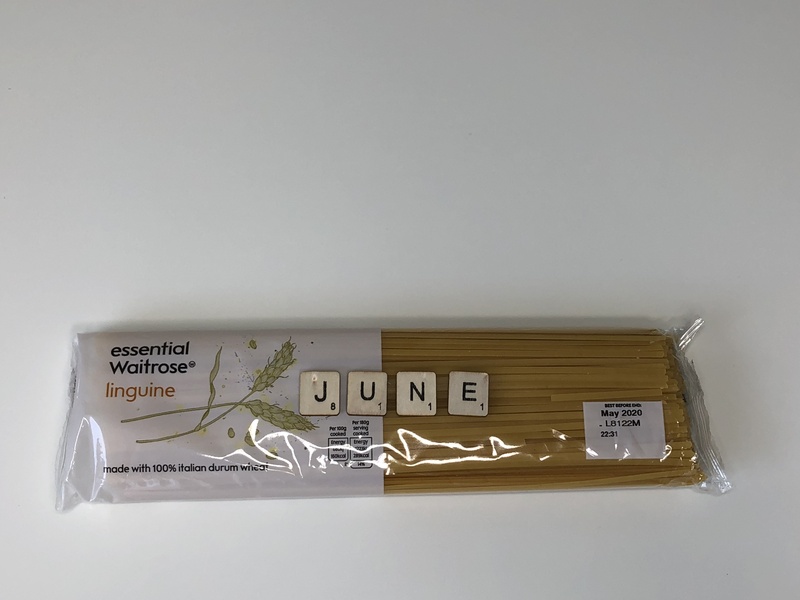 So didn’t June go fast? It’s that time of the month to share my favourites with you. What’s new, what I have been loving and what I’ve been using all the time. A favourite can be anything so I include a variety based on what I have enjoyed that month. So I am starting with food and I have been loving linguine. Strange favourite I know but I am cooking for myself again creating dishes I want and linguine with stir fry vegetables seems to be my go to dish. I used to hate cooking spaghetti or any pasta you have to make fit the pan. But I have mastered it now and I am eating this 4-5 times a week. Changing out the meat and/or vegetables. Moving on to fashion I am pain free and loving trousers. Jeans in particular. I am a girlie girl so do love dresses but I also like that cool casual jeans and tee with converse kind of look. 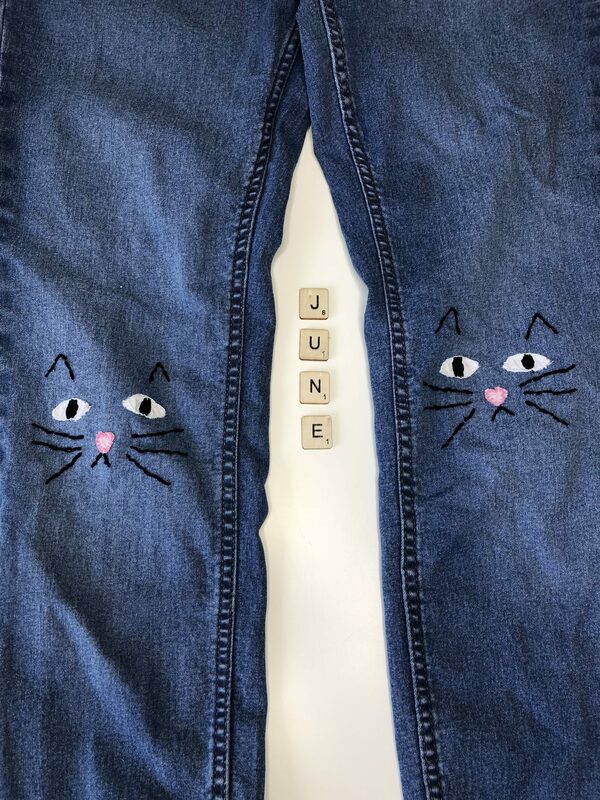 I created these embroidered cat jeans in May and they are so comfy, but I also get so many complements when wearing them. When I am walking along people always look at the cat knees and smile at me. My niece Abigail aged 6 really wants a pair. Every time I see her if I don’t have them on she will tell me next time I see you please wear them. She also keeps asking my mum and I to make her a pair. I am also loving my dunagrees again. Most of my youtube friends especially know me the most for dungarees and space buns. 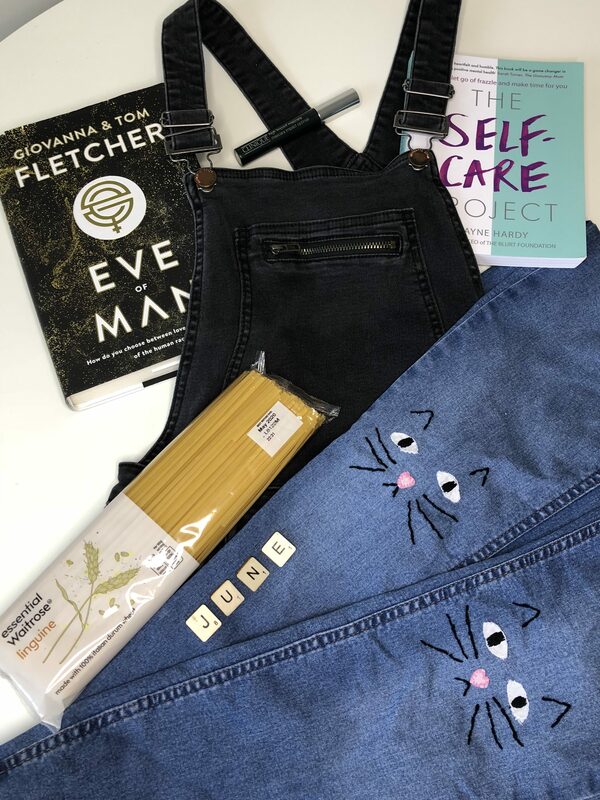 I had been wearing pinafores for a while since I became unwell but I am so grateful to be well and able to wear my dungarees again. These are super comfy and cute with a tee and my converse. I also find these a comfy casual outfit or a dress up with a shirt kind of outfit. 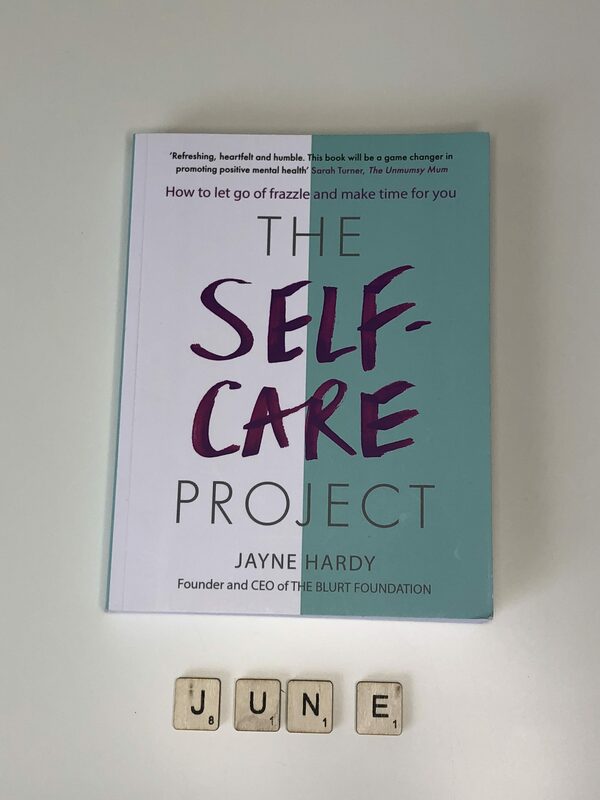 The next favourite I have mentioned before but I have really enjoyed reading and referencing to *‘The Self Care Project’ it’s a book that helps you with your self-care journey to become a better more positive person but also seemed to be a book I couldn’t put down. It also gives you bullet journal ideas and ways of coping on bad days. A really good read I 100% recommend for anyone to read but especially for anyone with a chronic illness and/or mental health problems. 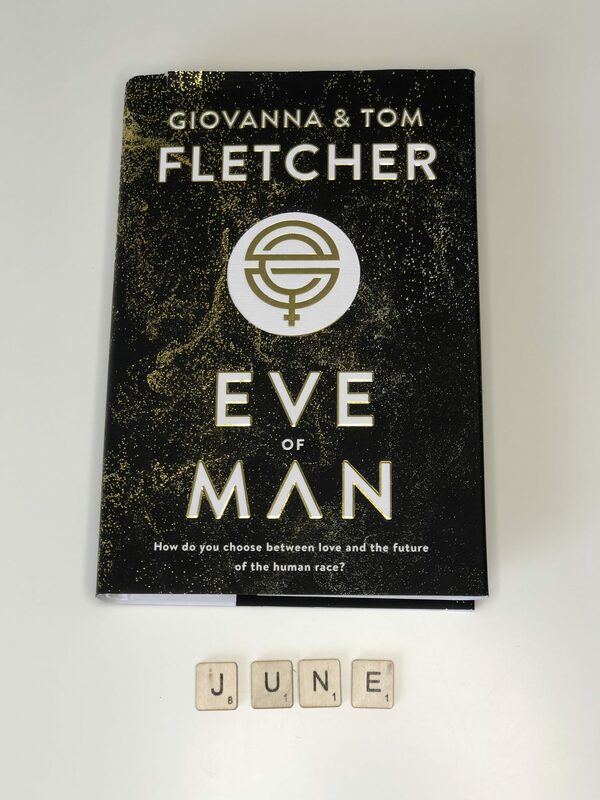 Another book I have really enjoyed is *Eve Of Man. I find books hard to read and get into but this is a good one. Without spilling the beans on the story. Eve is the first girl to be born in 50 years. They have her securely living in the dome to protect her. They set her up with 3 potentials to create more girls in the world. This is a really good book, one I haven’t gone a day without reading. Definitely worth reading. For Tv this month I have been loving Our Girl the BBC 1 drama starring Michelle Keagan. It’s based on her being a medic in the army, training and being part of army missions. I am loving my high impact mascara from Clinique. Its pricey but worth it. I have naturally long lashes but this gives length and volume to my lashes. It comes in various colours and does last a while which is good. I can curl my lashes and put this on and the compliments are amazing. I have been loving creating the community and friendship through Instagram. I am also loving being creative, photography and creating content to share with you all. I also love gaining ideas from others on Instagram, I try to post 6 out of 7 days a week to grow and share with you all. These are my favourites for June. 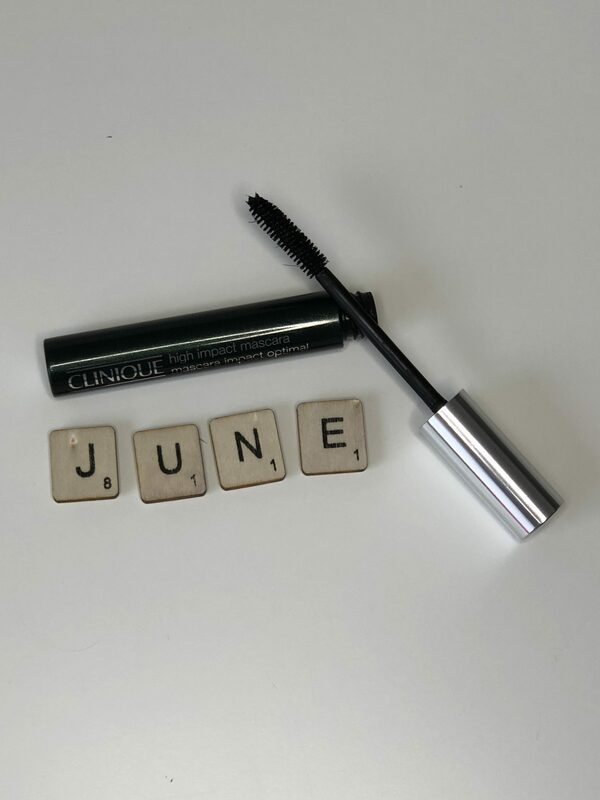 What has been your favourite things this month? If you have any recommendations based on what I have enjoyed this month please let me know. 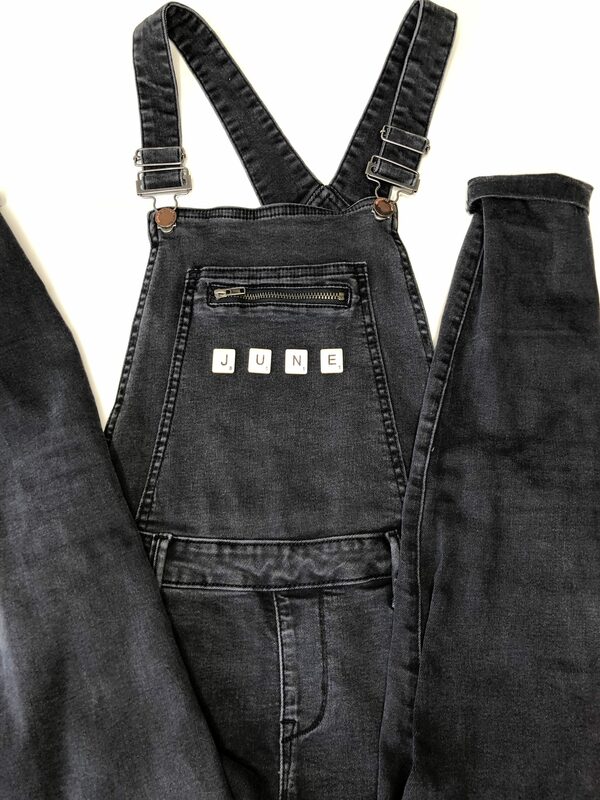 You should make a pair of overalls with puppy knees! I bet your niece would love them! Great choices! I’m especially excited to check out the books. The Self Care Project sounds like exactly what I need right now (I’m coping with some depression after losing my grandmother), and Eve of Man sounds like a great read. so sorry to hear about your loss. This book is really helpful and definitely worth reading. thank you I will definitely check that book out.